I'm a SUCKER fan for sales..and when I find good deals and sites that have great info-I'm on top of that one. 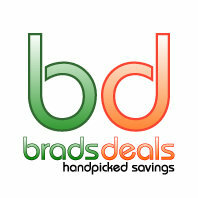 www.BradsDeals.com was started by a guy named BRAD (go figure) when he was in college. I've seen him on the Today Show and definitely hit up his site many times for coupon codes. Boston is needing some new pants too. Um. How do they grow so fast?!?!? That kid's ankles are freezing! haha. Brad has the deals for Children's Place too! Upwards of 20% off! !